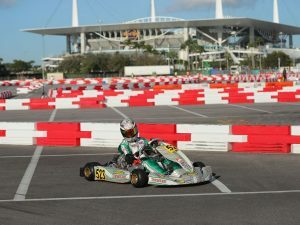 December 23, 2015 (Jupiter, FL) — On the heels of releasing their 2016 race schedule and announcing a new format for the series, which takes ROK Cup racing outside of Florida for a regional championship in the Midwest, ROK Cup Promotions has now released its 2016 Rule Book regarding technical and race regulations for the upcoming season. 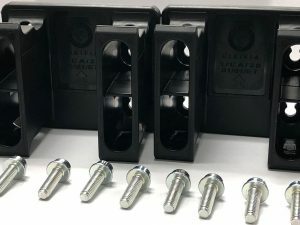 The new Rule Book sees several important updates and additions, which are the result of numerous discussions with both the customers and internally within the organization. 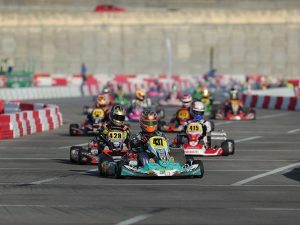 The major updates to the Rule Book include a new technical regulation concerning the ROK GP engine, which affects the Junior ROK, Senior ROK, and Master ROK classes. After gathering data and information from drivers, teams, and engine builders, ROK Cup Promotions has instated a new rule allowing for the use of an external water pump for the engine, to alleviate any issues that some customers faced with the internal water pump. Vortex has conducted several tests and concluded that both options result in equal performance of the engine under all racing conditions, and depending on the maintenance schedule of the engine the use of an external water pump may be beneficial to prevent technical issues. Another rule that has been updated is the rear width rule for Cadet chassis. After changing the rule in 2015, ROK Cup has decided to modify the rule again for the upcoming season, allowing for a maximum rear width measurement of 50 inches. This decision was made after many discussions with teams and drivers who ran in the 2015 season. “Because our rules are based on the European standards for racing, some of those rules need to be adapted to work within the current North American racing market. We listened to our customers and took their feedback after making the change last year and decided to adapt the rule to fit within the current racing standards here. We want to make sure that, at the end of the day, the racing at ROK Cup USA events is fair and competitive,” Series Promoter Andre Martins has stated. There has not been any official decision on whether or not Parc Ferme will be implemented for fuel and tires for the 2016 season, although the new Rule Book allows for the option should ROK Cup decide to instate it. It was positively received in the final race of the 2015 season, and the option may be added to the Special Event Regulations should ROK Cup feel it is in the best interest of the series. One other rule change that will go into effect in 2016, however, is allowing the declaration of two race engines for events, a departure from previous seasons where only one race engine was allowed. 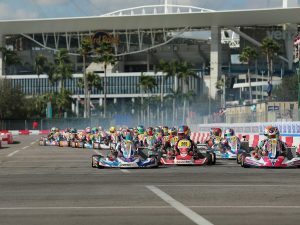 Says Martins, “ROK Cup USA is still a very new series here in North America and so we’re constantly working to update and adapt our rules and regulations to meet the needs of the consumer. 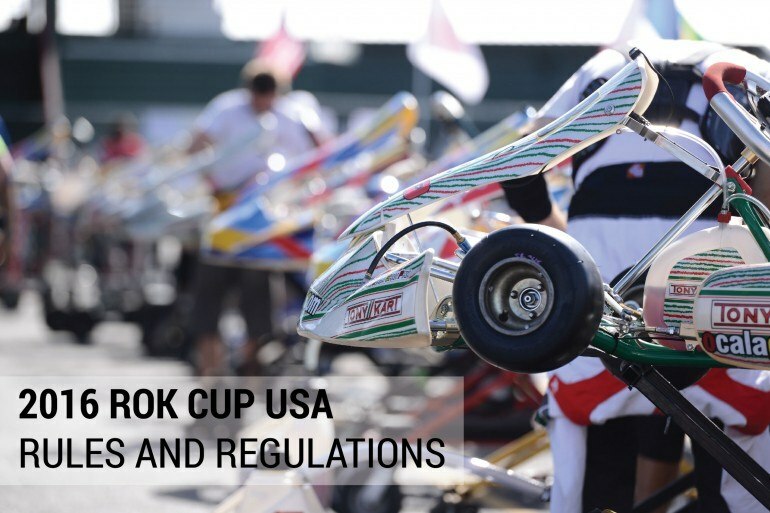 One of our main goals is to limit the number of mid-season changes and addenda, and so we urge everyone to take the time to review all of the changes and additions made to the 2016 Rule Book.” The 2016 ROK Cup USA Rule Book can be found online here, to view or download.